Welcome to Body & Sole Beauty salon, Stornoway Isle of Lewis. 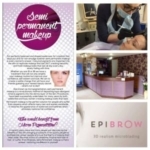 Owner Iline works alongside a dedicated team of cosmetic and beauty therapists, specialising in the latest techniques of semi permanent make up, intimate and basic waxing, eyebrows and shaping, eyelash extensions make up for weddings and skincare. 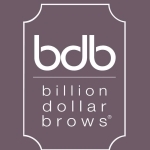 Body & Sole have carefully selected and use only premium products including skincare company Dermalogica, the beautiful Jane Iredale mineral makeup and the luxury Adam and Eve Australian wax system, BDBBrows, St Tropez tan, Glamlash eyelash extensions and Orly gel polish, Orly Gel Fx manicure system and 12 Smart Polish. All therapists are trained to a very high standard! certificated an insured. Semi Permanent Make Up: offers a beautiful and fresh makeup look that lasts. Coloured pigments are implanted into the skin to replicate makeup that lasts. Each procedure is tailored to specific individual’s requirements and treatment area. Customised facial treatment, comedone extraction, safe blackhead removal, Hydroxy acid exfoliation, revitalising eye rescue. Adam and Eve hot and strip wax: Brazilian, Hollywood, eyebrow, underarm, leg bikini, facial. Adam and Eve wax system offers a more pain free and pleasant waxing experience!, contain natural pure Australian beeswax, almond oil, cocoa butter and coconut oil, with many of the products vegan friendly. strip eyelashes, eyebrow shape & eyelash tinting.